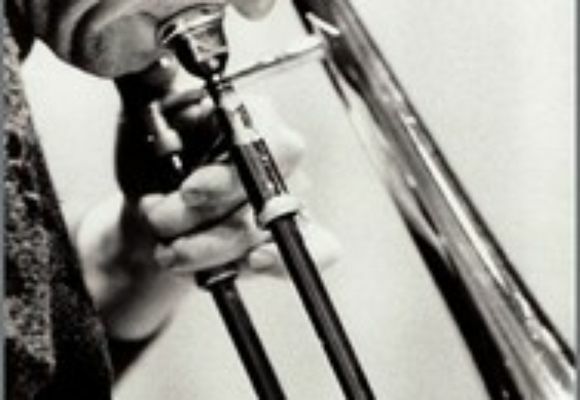 New York-based jazz trombonist Conrad Herwig is considered one of the worlds complete jazz musicians, atop both the performing and jazz educational fields with an abundance of composer and arranger credits, as well. To date, he has released 20 recordings as a leader in addition to contributing to nearly 200 other recording sessions with some of the most notable artists in jazz. He has performed and recorded with Miles Davis, Joe Henderson, Eddie Palmieri, Tito Puente, Frank Sinatra, Joe Lovano and Tom Harrell, among many others. Born November 1, 1959, in Lawton, Okla., Herwig is an inductee of that states Jazz Hall of Fame. He spent his formative musical years in Hawaii under the aura of jazz icon trombonist Trummy Young, graduating from Punahou High School. The gifted trombonist then went to the University of North Texas, performing as a member of the famed One OClock Jazz Lab Band. Later in his career he would complete his studies at Goddard College in Plainfield, Vt., where he received his Bachelors of Arts degree in Afro-Caribbean ethnomusicology. Herwigs formal studies came to a close with a Master of Arts degree in Jazz Studies from Queens College, a branch of City University of New York. Equally well-versed in the bebop, hard bop and modern jazz musical languages, Herwigs professional performance career commenced with big band stints with a number of iconic and legendary figures including Clark Terry, Cab Calloway, Buddy Rich, Toshiko Akiyoshi and Mel Lewis. Around that time he also performed and toured with Slide Hamptons World of Trombones. Later, Herwig would work for a number of years with the Frank Sinatra Orchestra. Other important early associations included a stay with bandleader Mario Bauzas seminal Afro-Cuban Jazz Orchestra, an association that would launch his mastery of the Latin and Latin Jazz genres. As his stock rose in the New York area, he developed associations with a virtual Whos Who of jazz. Herwig worked with a number of small, mid-sized and large ensembles while continuing to forge a name as a leader. Jazz elders he had already worked with included Red Garland, Dave Liebman and Max Roach; at the same time he attracted Perez and David Sanchez in his groups. Herwigs first release With Every Breath (Ken) arrived in 1987; during the course of the next 10 years he released four additional recordings for the same label. During the mid-1980s he began a long association with Palmieri, a musical journey that continues to this day. Herwig also performed regularly as a member of Paquito DRiveras Quintet and larger ensembles such as the Dizzy Gillespie inspired United Nation Orchestra. He also continues his now long-standing affiliation with the Mingus Big Band, where he has served as musical director and contributed as arranger, most notably on the 2008 GRAMMY-nominated Live at the Tokyo Blue Note (Sunnyside). One of Herwigs more important mid-career affiliations was with the late saxophonist Joe Henderson, who enjoyed a career surge in popularity at that time. During different stints with Henderson, which began in the early 1990s and lasted until close to the saxophonists 2001 passing, Herwig toured both globally with the saxophonist and spent time in the recording studio, contributing to projects such as Joe Henderson: Big Band (Verve; 1992), Porgy &Bess (Verve; 1999) and The Other Side of Joe Henderson (Universal; 2004), a posthumously released collection. Since then Herwig has issued Another Kind of Blue: Latin Side of Miles (Half Note; 2004; GRAMMY®-nominated), Qué Viva Coltrane (Criss Cross; 2005), Sketches of Spain Y Mas (Half Note; 2006), Latin Side of Wayne Shorter (Half Note; 2008; GRAMMY-nominated) and Latin Side of Herbie Hancock (2010). His Latin Side All-Star Band, a septet filled with some of the genres mostly highly respected players includes multi-instrumentalist Craig Handy, trumpeter Mike Rodriguez, pianist Bill OConnell, bassist Ruben Rodriguez, drummer Robby Ameen and conga player and percussionist Pedro Martinez. The group has headlined festivals both internationally (Tim Jazz Festival [Brazil], Red Sea Jazz Festival, Panama Jazz Festival, North Sea Jazz Festival, San Javier Jazz Festival, Paris Jazz Festival, Puerto Rican Heineken Jazz Festival) and domestically (Chicago Jazz Festival, Detroit Jazz Festival, Monterey Jazz Festival, San Francisco Jazz Festival, Beantown/Boston Jazz Festival, Newport Jazz Festival) as well as performed at major universities throughout the United States. ). The prize, presented at the North Sea Jazz Festival, is intended for an artist who, according to the international jury, deserves the attention of a broader audience. Herwig is also a recipient of performance and teaching grants from the National Endowment for the Arts. Conrad was elected to the Board of Advisors of the International Trombone Association for a second time in 2006. Since 2004 he has taught at Mason Gross School of the Arts in the prestigious jazz program at Rutgers University in New Brunswick, N.J. He is currently Professor of Jazz Trombone, Jazz Improvisation and Jazz Composition and Arranging. He is also a visiting Professor of Jazz Studies at the Juilliard School, NYC. at college and university jazz festivals around the world. Armed with his compositions and arrangements for both small and large ensembles he is able to step in to virtually any situation and deliver engaging master classes and workshops. During the course of what is now more than 30-year career he has conducted master classes, seminars and workshops at major universities and conservatories around the world including the Sibelius Academy, Finland; Royal Irish Academy, Dublin; University of Koln, Germany; Eastman School of Music, Rochester, NY; University of Southern California and literally hundreds of others. One of the most in-demand jazz educators, Conrad Herwig performs exclusively on Michael Rath trombones.